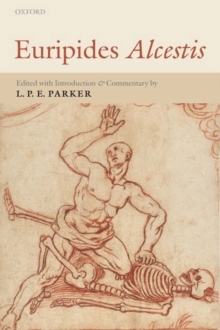 Alcestis is one of Euripides' richest and most brilliant - as well as most controversial - plays. But, apart from D. J. Conacher's student text, no annotated edition in English has appeared for more than fifty years. The present work is designed to aid close reading and to serve as an introduction to the serious study of the play in its various aspects. The introduction covers the background to the story in myth and folktale, its treatment by other writersfrom antiquity to the present, the critical reception of Euripides' play, and its textual transmission and metres. The notes are designed in particular to help readers who have been learning Greek for a relatively short time. More advanced matter, such as discussion of textual problems, is placed in squarebrackets at the end of the note.